I was blessed to receive leaves and plantlets I probably never would have bought. In fact I wasn't even sure if I wanted to make room to grow them. But I did, and I'm glad. 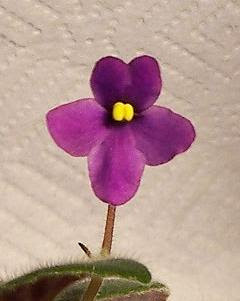 I'll try to get better pictures after more blooms open. 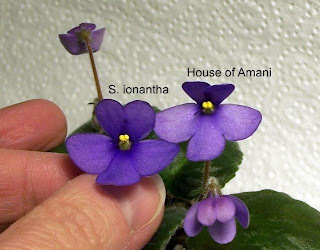 This picture compares the S. ionantha bloom and the mauve House of Amani bloom.